For our final segment on notebooks, we will take a look at convertibles. We’ve already covered standard notebooks, as well as gaming laptops. This final installment will focus on convertibles. This category sprouted out of nowhere with the release of Windows 8, but it has made some huge strides over the years with better and better devices being released. With Windows 10’s ability to switch the interface depending on which mode you are in, convertibles are now a fully fleshed out member of the notebook family. I break convertibles down into two different segments. The first are those that are a tablet first, and those are defined by having the CPU and other parts in the display section. Keyboards are an add-on on these devices, and they generally are a better tablet experience, with somewhat compromised keyboards and with the heavy tablet section sitting out over the hinge, they do not have as good of a balance when compared to a traditional notebook. The other segment is ones where the keyboard can flip around underneath the display. As a tablet, they are not as good, since the heavy keyboard section stays attached, but as a regular notebook they have the advantage with balance and generally a better typing experience. We’ve seen some great additions to the lineup for this year, and with Intel’s updated Skylake platform being used by many. Lower cost devices may turn to Intel’s Cherry Trail or Braswell platforms, which are lower performance Atom cores but with a much lower TDP and greater efficiency. The Microsoft Surface 3 is the first of the non-pro models from Microsoft to sport an x86 processor, which opens up the entire Windows software ecosystem to Microsoft’s lower cost tablet. The 10.8-inch display is a wonderful 3:2 aspect ratio, with a resolution of 1920x1280. This makes it a much better tablet than the former 16:9 models, especially in portrait mode. The Surface 3 is also powered by Cherry Trail, but in this case the top end x7-Z8700 model. The base clock is 1.6 GHz and boost jumps to 2.4 GHz. The 2-Watt processor does a decent job running Windows 10, but it still can’t hold a candle to Intel’s Core series. Microsoft has bumped the base storage to 64 GB of eMMC, with 2 GB of memory, or you can jump to 4 GB with 128 GB of eMMC. There is micro SD as well if you need to add a bit more storage, and with the latest Windows 10 updates it’s very easy to use the SD for data or even apps. 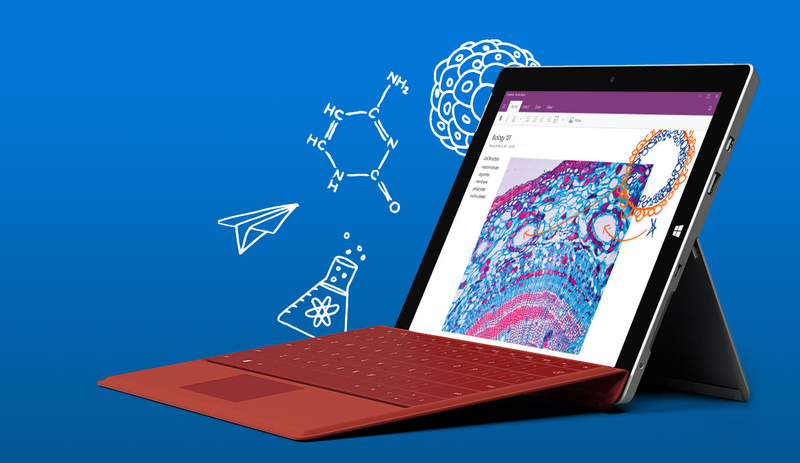 The Surface 3 has a very premium build quality, with a great magnesium finish, and the included kickstand of Surface has three different stops on the new model. 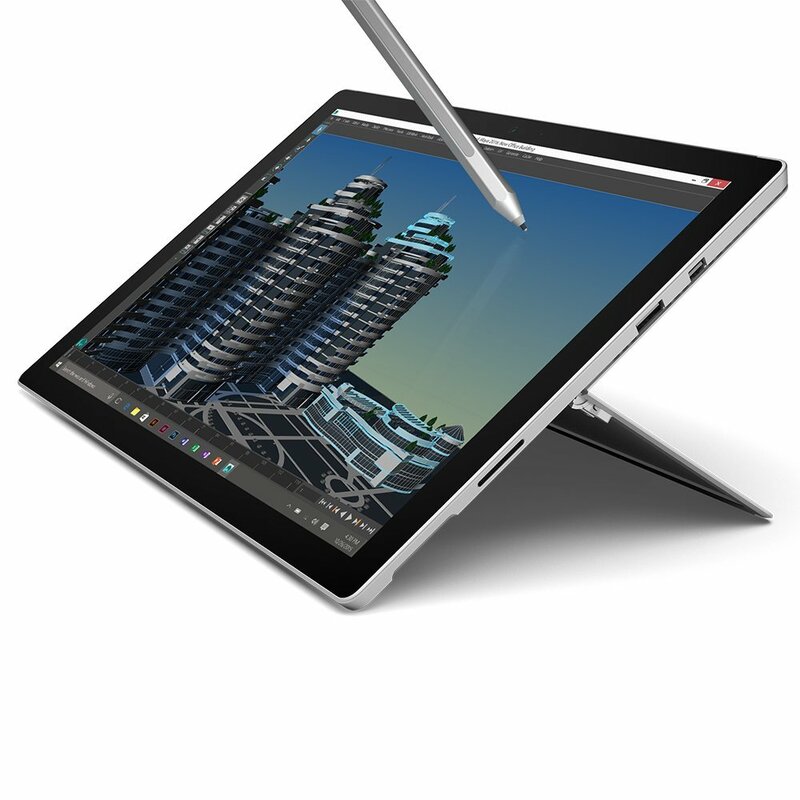 It also adds support for Surface pen, and of course the type cover option to transform it into a laptop. It’s not an inexpensive purchase, but the display and build quality are a step ahead of most of the competition. The latest iteration of the Surface Pro makes some big strides, and distances itself from the competition even further. There have actually been quite a few Surface Pro clones released this year, but it’s going to be a tall task to overcome the incumbent. Pretty much all of the issues with the last generation Surface Pro 3, which was already a great device, have been sorted out with the new model. The processor is now the latest generation Skylake, with options up to the Core i7-6650U with Iris Pro graphics, and if you want fanless, the base model is a Core m3-6Y30. System memory starts at 4 GB, but you can get up to 16 GB on the higher end versions. Storage is now PCIe NVMe with 128 GB as the base offering, and up to a whopping 1 TB is going to be available soon. One issue with the Surface Pro 3 was that it had a tendency to throttle under heavy load, but the new cooling system in the Surface Pro 4 fixes that too. The display in the latest model is a fantastic 267 pixels per inch, with a 3:2 aspect ratio. Even more, the new type cover improves the typing experience immensely, and the larger, smoother, trackpad is now on par with good notebooks. The Surface Pro 4 starts at $899, with prices going way up from there depending on options. It’s not inexpensive, but the Surface Pro 4 delivers. Lenovo’s Yoga was the original 360-degree hinge laptop, and it adds a lot of functionality over a traditional notebook by being able to couple touch with the hinge. You gain access to not only the tablet mode, but also tend and stand modes. 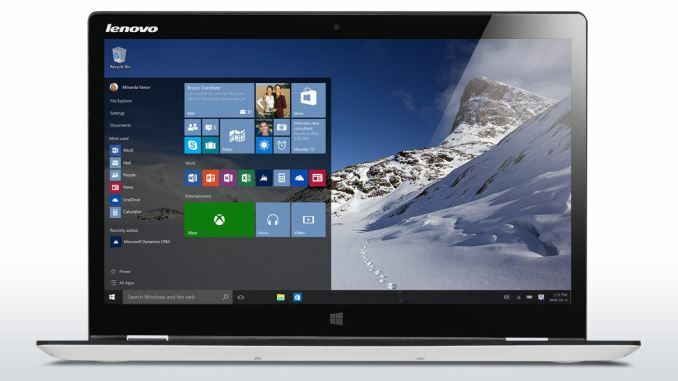 For late 2015, Lenovo has refreshed the lineup and the Yoga 700 makes our list. It’s a 14-inch notebook, but it packs Skylake processors and even an optional NVIDIA GT 940M GPU inside. The display is a reasonable 1920x1080, which of course includes multi-touch. The Yoga 700 loses out on the weight and thickness battle with Lenovo’s higher end models, but it makes up for that in price. The 3.5 lb notebook starts at just $770 with a Core i5-6200U, and for $900 you can get the Core i7-6500U with double the storage (256 GB vs 128 GB on the base) as well as the GT 940M GPU. HP released their own version of a convertible notebook this year with the release of the HP Spectre x360. They have recently refreshed it to include Skylake processors too. 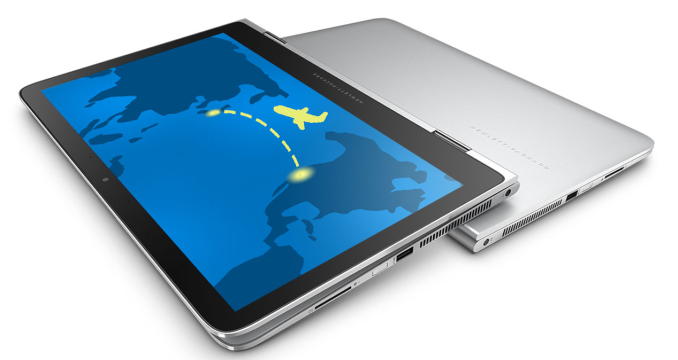 The HP offers great battery life, as well as a beautiful aluminum finish. The trackpad is enormous, with a much wider model than most devices offer. Although we have not had a chance to review the Spectre, I’ve been using one since April and the build quality is top notch. The HP has a great keyboard too, although I’m not a fan of silver keys with white backlighting since they get washed out in any sort of lighting. The base model offers a 1920x1080 display, and you can also get a 2560x1440 model as well. I would likely stick with the 1080p model for battery life reasons, and the base display is quite good. 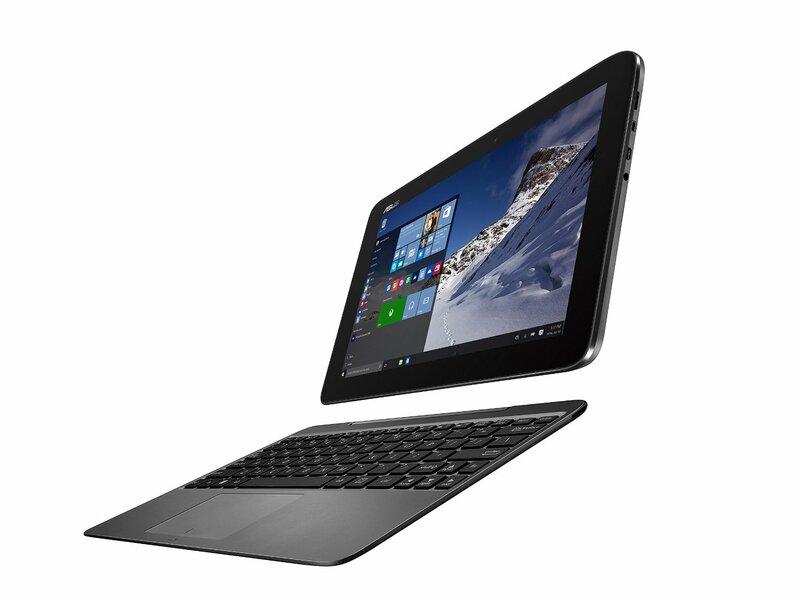 HP doesn’t break the bank either with their nicely crafted convertible. The HP Spectre x360 starts at just $799 with a Core i5-6200U, 8 GB of memory, and 128 GB of storage. Lenovo has once again revamped their Yoga lineup, and the top end of the consumer lineup is now the Yoga 900. 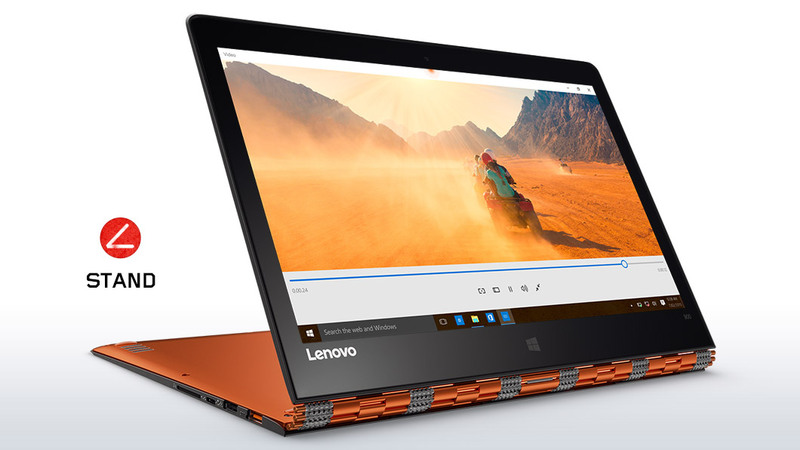 This is a successor to the Yoga 3 Pro, and Lenovo looks to fix some of the ailments of that model. The Yoga 3 Pro went for thin and light over pretty much anything, and it did it by using Core M. For the Yoga 900, Lenovo has made it slightly thicker, but by doing so they have been able to move back to the 15-Watt Core processors. They have also increased battery capacity, which is now an impressive 66 Wh. The display is the same 3200x1800 IPS panel, for good and bad. I really hope that Lenovo moves away from this Samsung RGBW Pentile display for future models, since there are plenty of better choices out there now. 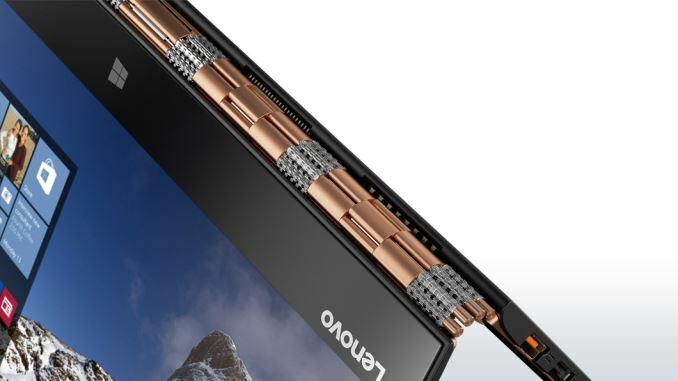 But still, the overall laptop keeps its thin and light design, along with the beautiful watchband hinge. The 1.3 kg (2.8 lb) convertible is just 14.9 mm (0.59”) thick. You also get USB-C with video out, and the base specifications have gotten a bump. Storage now starts at 256 GB, and can move to 512 GB, and RAM starts at 8 GB and they also offer a 16 GB model. The new Yoga 900 starts at $1200, and goes up to $1400 with 16 GB of memory and 512 GB of storage. This wraps up our look at laptops for 2015. It has been a great year for notebooks, with some amazing new models in all categories. It has some classic "1.0" flaws, not unlike the first Surface Pro. Its funny how since Anand sold out you are increasingly smug while decreasing the quality of the articles. You completely exclude leading products from your lists without even bothering to give the slightest explaination.